The night before you make the stuffing, dice your sour dough bread and spread it out on a cookie sheet overnight uncovered. Heat 3 tbsp olive oil in a large pan on medium heat and add the pancetta and shallots. 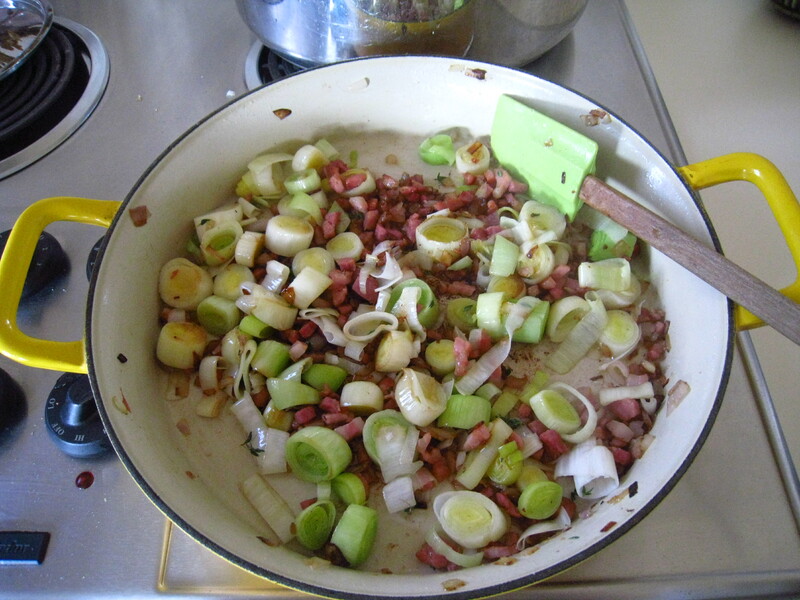 Sautee for about 5 minutes until the pancetta begins to brown and then add the leeks and thyme. Sautee all ingredients together for about 20 minutes and put the lid on to allow the leeks to soften. 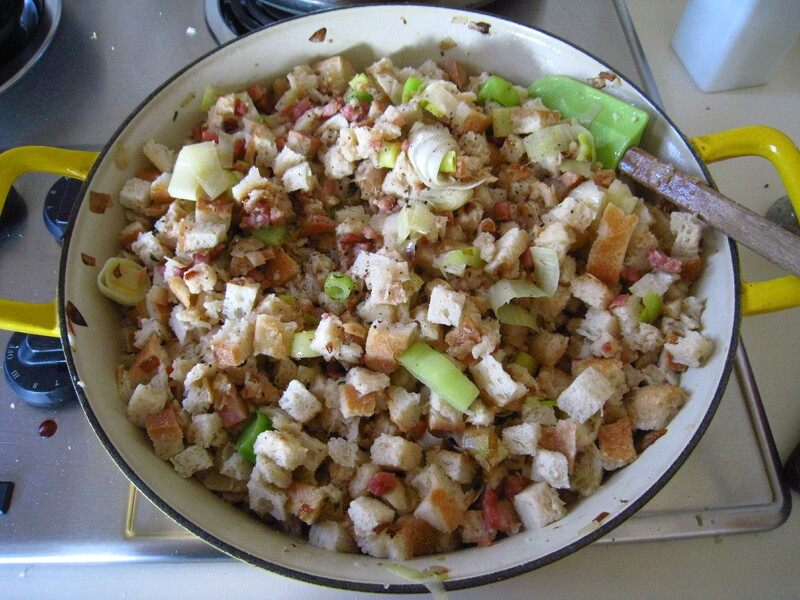 Once leeks have cooked, begin to add in the sour dough bread. 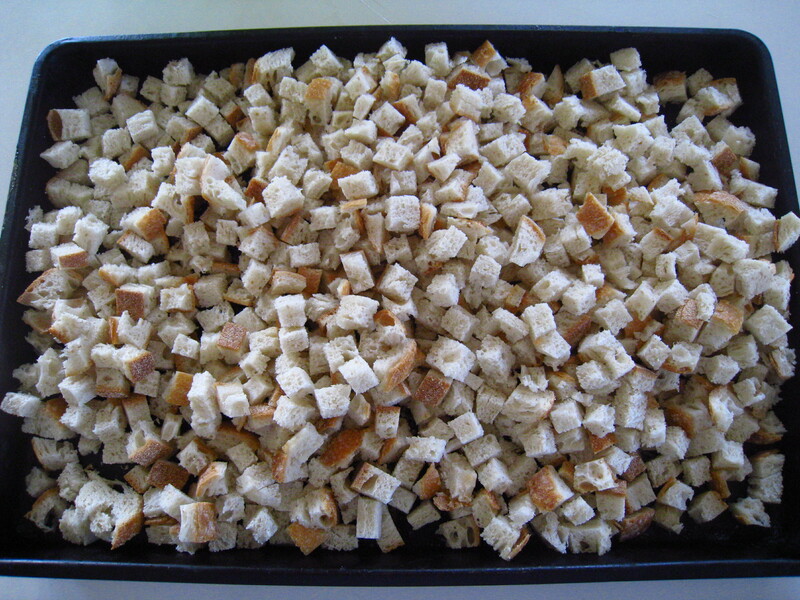 Mix in the bread in smaller parts, rather than adding in all of the bread at once. As you add in the bread, pour in chicken stock to soften the bread. After all ingredients are combined and bread is softened to a mushy consistency, add a dash of black pepper and salt and put the mixture into a greased baking dish. 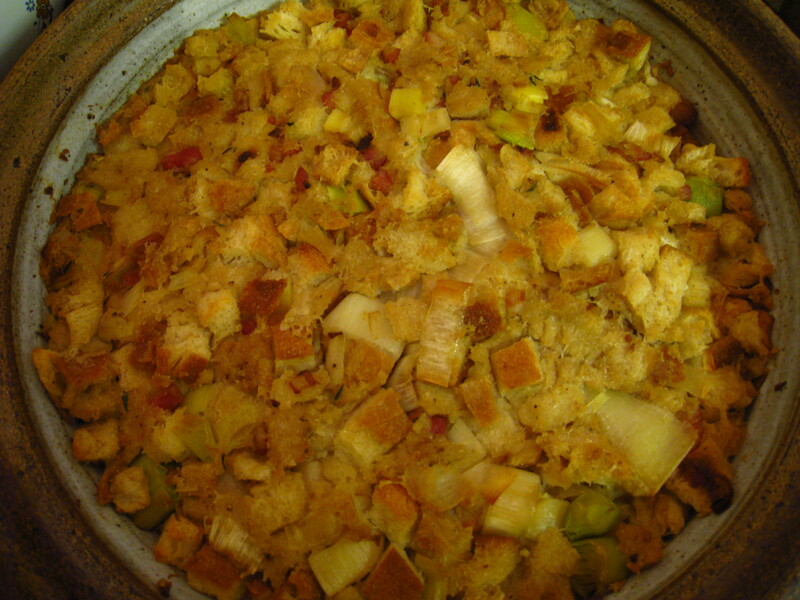 After the stuffing is packed firmly into the dish, pour 3 tbsp of olive oil over the top. 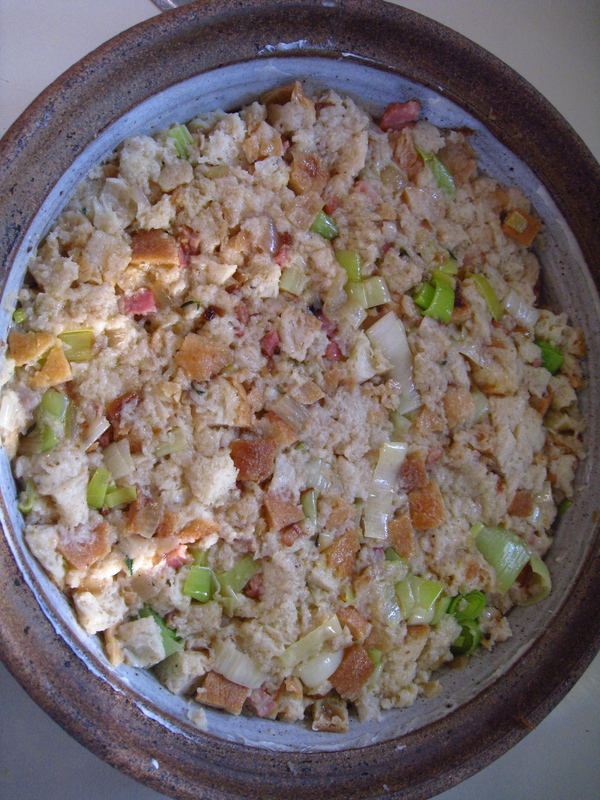 Cook the stuffing on 350 for 1 hour. Dice the potatoes and boil them until they are soft. Drain the potatoes, and while they are still warm, put them through a potato ricer. 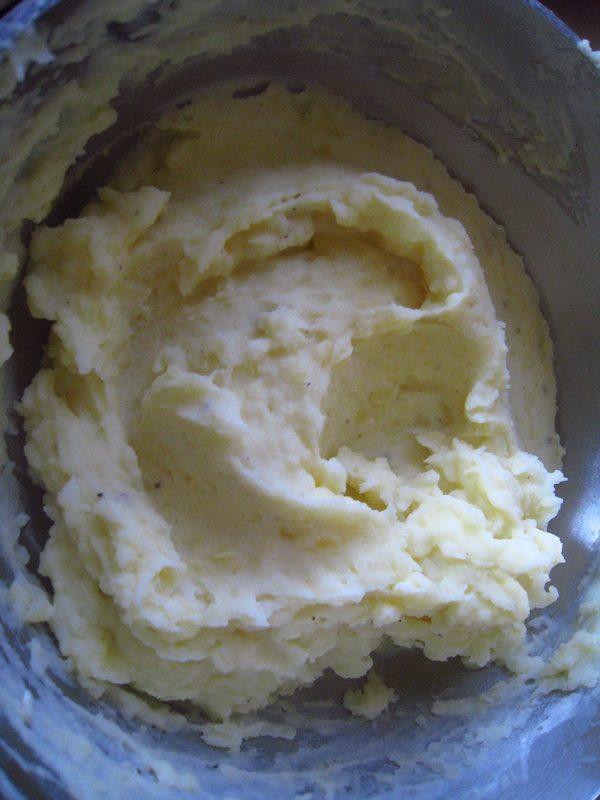 This will make the potatoes a smoother consistency and will also separate the skin from the potato. 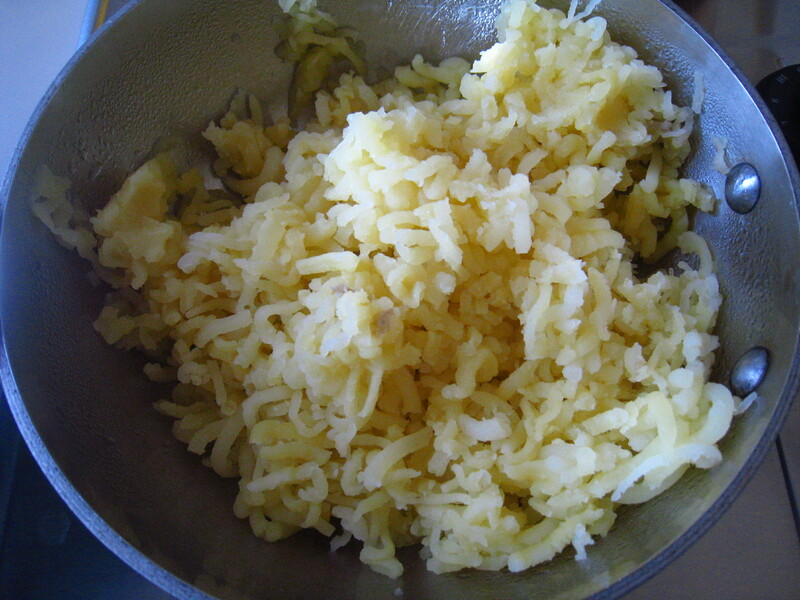 Put the riced potatoes into a small pot and heat on low heat. Add the milk and sour cream and mix together while potatoes heat. Then a dash of salt and pepper.